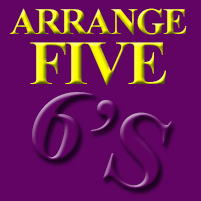 Can You Arrange Five 6's so They Equal 19?Can You Arrange Five 6's so They Equal 19? Speaking of getting things in order, how are your summer camp plans coming along? Lots of excitement is in store with Abra-Kid-Abra’s summer camps St. Louis! Magic, circus, comedy, balloon art, and more!